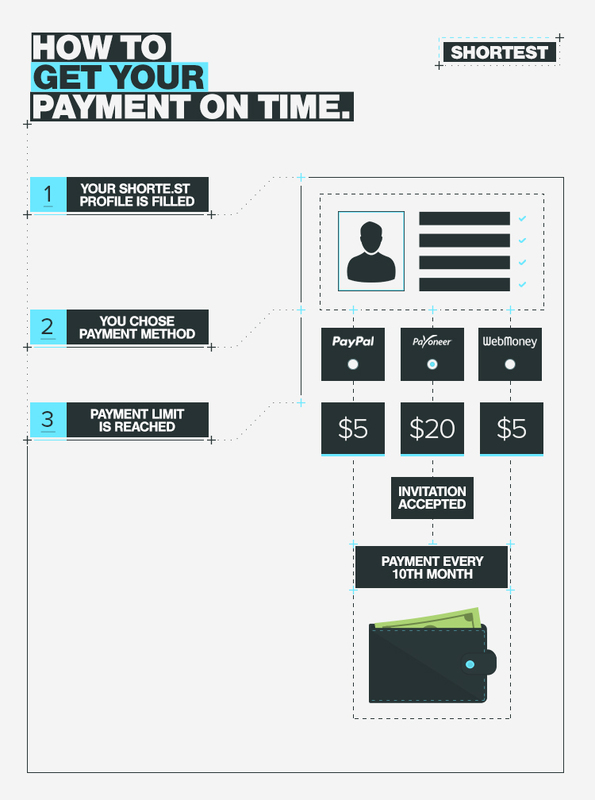 Shorte.st provides three payment methods: PayPal, Payoneer and WebMoney. There are certain steps you ought to take before your earnings make their way to your account. Firstly, your Shorte.st personal profile needs to be filled in. If you wish, you can make sure that yours is fully complete just now: see your profile. If it isn’t, enter your personal details. There isn’t much information on the settings page but it’s obligatory for us in order to process money tranfers and, therefore, send you a payment. 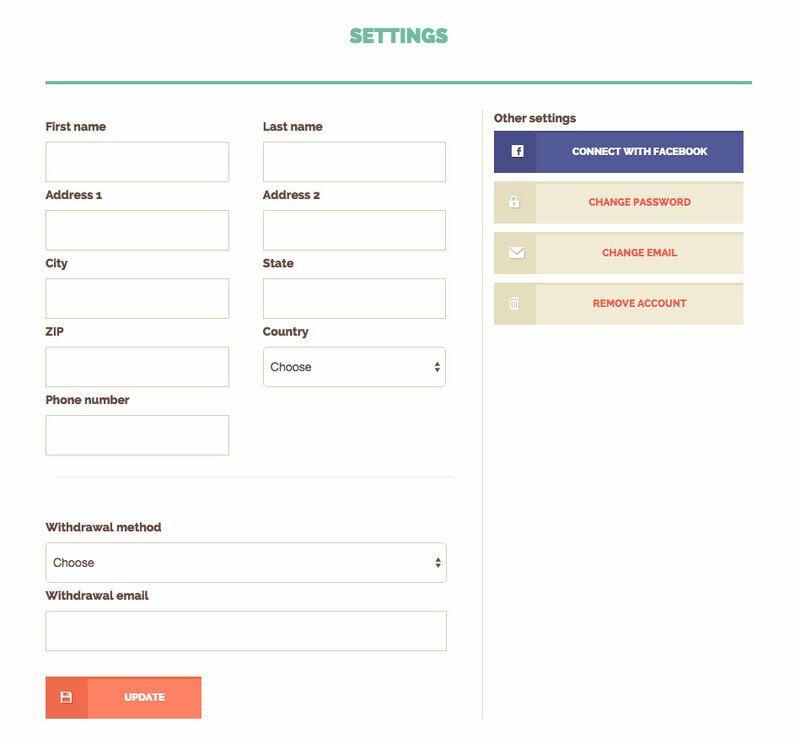 Select your favoured method from the drop-down menu and add a withdrawal email in the box below. If you are going to use PayPal, make sure you’re in possession of an account capable of receiving money transfers. If yes, check whether this is necessary in your account to manually accept every incoming payment before it’s made. Paying attention to the above is what you should do to obtain money on time. Regarding Payoneer, users receive an invitation to a payment from Shorte.st and have to accept it by clicking the link sent to their email address. Only then the money transfer will be processed successfully. Payment limit means how much money you need to earn, minimum, in order to receive a payment. No matter which method you are going to use, you can expect your earnings on 10th of every month providing you reached the payment limit set by your payment provider. Last, but not least are the issues that might appear along the way. Apart from already mentioned inappropriate kinds of accounts users have, sometimes payments are rejected from the payment system itself. The possible reason for this could be an unverified or inactive PayPal / Payoneer / WebMoney account. An account that remains under investigation is also unable to receive payments. Here is where PayPal’s or Payoneer’s support may be helpful in finding a solution. My Shorte.st Personal profile is filled in. My account is verified and active. My account is capable of receiving individual payments. I reached the limit for a payment.